I’ve been part of More Than a Mum’s (@More_Than_A) Twitter book club since it started and our online chats have been a really fun way to talk books with people. It’s been one of the highlights of my time on Twitter, and I love that it’s hosted by a pair of women who feel very much the same way as I do about women who are mothers retaining a sense of themselves, rather than just being consumed by ‘mummying’. They’re currently moving their on-line home, but take a look here for links to their Facebook page to be kept updated with their move – and if you’re in London, take a look at their More than a Mum course! Last month’s book choice was ‘How to Be A Woman’ by Caitlin Moran, which spurred a brilliant and thought provoking discussion about modern feminism. On this very tenuous thread, I’m going to share yet another of my book collections with you. You’re beginning to see why my little house is heaving with books now, aren’t you? Published by The Bodley Head in 1955, these books are part of a series of Career Books for Girls. Although they are novels, they are also designed to publicise a series of career options thought suitable for girls at that period. These two are ‘Clare in Television’ and ‘Sarah joins the WRAF’. 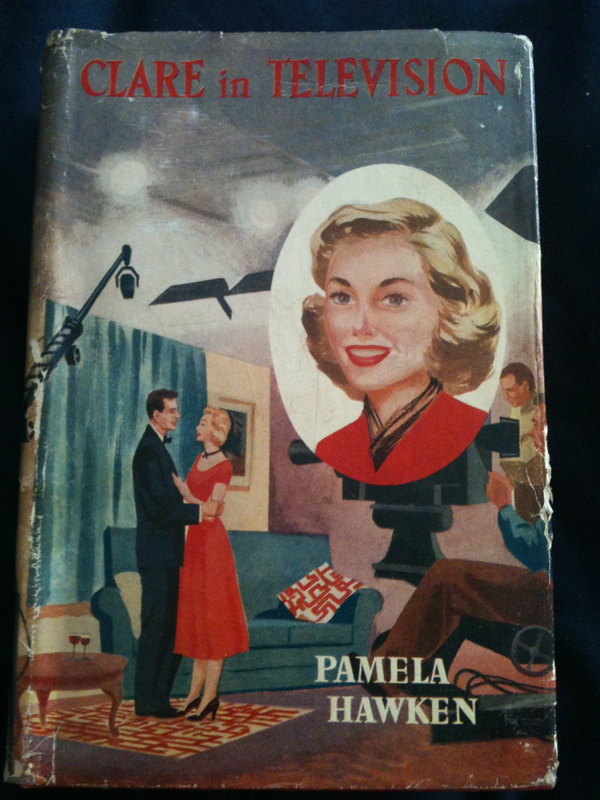 Other titles in the series include ‘Air Hostess Ann’, ‘Pan Stevens: Secretary’ and ‘Molly Hilton: Library Assistant’. ‘What happens if you want to marry? asked Sarah. “You can still stay in the service, and I’ve known cases where it works very well. Although these stories are focussed on the career choices of the main character, in both cases there is a romantic thread running through them too. 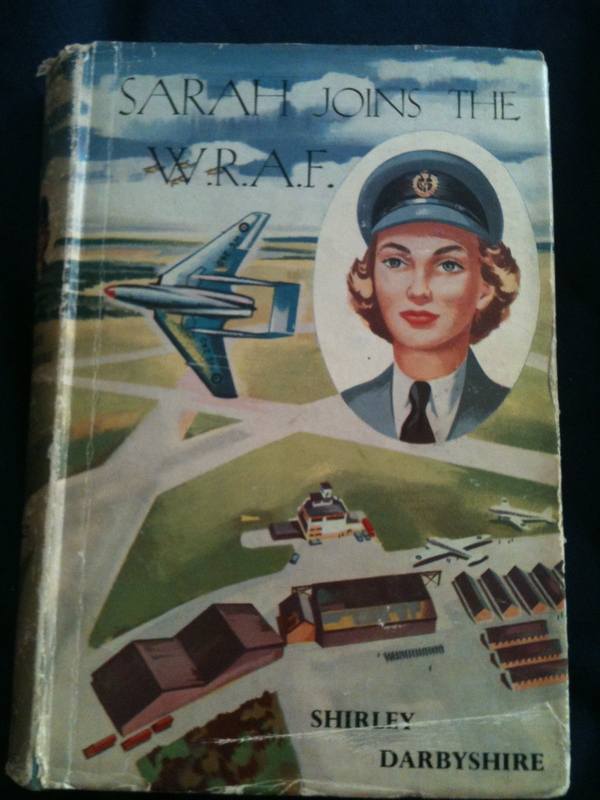 Clare in her television career, ends up engaged to her producer whereas Sarah in the WRAF chooses to take up her posting in Singapore rather than get married. Another series published by The Bodley Head during this period follows a similar path. The series is described as being the story of ‘the life of Sue Barton as a student nurse to her eventual marriage’…which probably explains the alternative title for this whole genre of books as ‘career romance’ novels. I find them a fascinating record of that period. On the one hand there are signs of new career opportunities opening up in the decade after so many women worked while the men were away at war. On the other hand, there is still the assumption that a woman only worked until she got married, settled down and presumably had children. Whatever the statement they are trying to make, I am very fond of them. Even more so because of my recent discovery, which is that although I paid £4 each for these first editions, they are now being listed on Amazon and Abebooks (best book website EVER) for between £25 and £50 each…proof that sometimes my curiosity and insatiable book-collecting habits pay off! Ooo they sound good *shuffles of to second hand bookshop for a rummage*! It is fascinating what was presumed of women of the post-war generation. My Mum trained as a teacher, because in her words, she never thought she’d get married. When she met my Dad at the ripe old age of 28 she quit her teaching qualification straight away. Thanks for the mention too – always happy to have more members at the book club! DM us or email us (morethanamum@gmail.com) Glad you enjoy it so much. I know we do! Yes, that’s true…Hopefully I won’t need to do that! You have to love the fact there were particular careers that were considered suitable for women! Look how far we’ve come since then! And now we have blogging and Twitter and the housework never gets done. Cripes I’ll never be a feminist saying stuff like that!